The apartment Xenia is situated in one of the oldest streets in Rovinj, in a Venetian style stone house which overlooks the sea. It is situated right NEXT TO THE LOCAL GREEN MARKET, where you can try the best Istrian specialities and 50 m from THE MAIN SQUARE in Rovinj. Once you are at Xenia's apartment everything is at your doorstep, ONLY FEW METRES AWAY -grocery shop, bakeries, morning coffee bars, park, excellent restaurants, museums, rent-a-bike office, beach, as well as the boats which will take you to most beautiful islands of Rovinj archipelago. -MANAGED BY CERTIFIED CROATIAN TOURIST GUIDE - my assistance is available constantly throughout your stay! The apartment is very spacious, and the owner Ksenia decorated it with special attention to detail. It consists of a comfy bedroom with king - sized double bed, kitchen and dining area, as well as lively living room on the seaside. with separate lounge including doubled bed for another 2 persons. 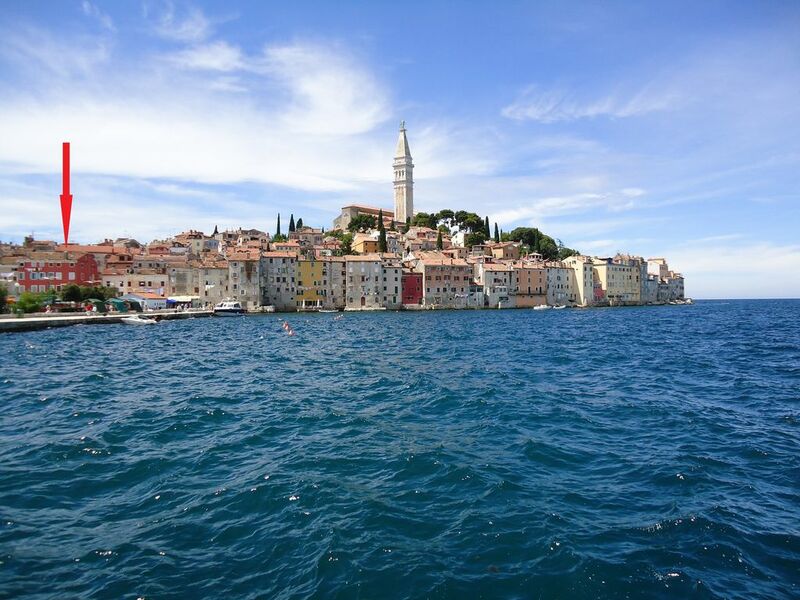 Perfect for couples and families that want to experience the real old Rovinj! You are welcome.